Palliative Care is not about helping someone to die, but instead about helping someone to live as comfortably as possible with their illness. It is about seeing them as a living person, not a dying patient. It is about supporting those closest to them and adding life to days, whether or not days can be added to lives. The palliative care team sees patients whose disease is not responsive to curative treatment at any stage of their illness. This includes illnesses other than cancer. Symptom management, advice and support can be offered to anyone who is dying, and to their families. What the Hospital Palliative Care Team do? The Palliative Care Team gives specialist advice and information to people facing any serious illness, not just cancer. We recognise that emotional, spiritual, family and financial worries might be just as important to you as physical problems. We work closely with the hospital doctors and nurses to support you, and those people important to you. We will usually see you on the hospital ward or in our Palliative Medicine Outpatients Clinic. We include a consultant in palliative medicine, a matron for palliative care and specialist palliative care nurses. At least one member of the team is available seven days a week from 8.30am to 16.30pm. 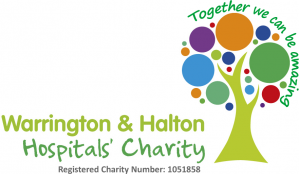 We work closely with the community teams in Halton and Warrington, as well as other local hospitals and hospices, to co-ordinate care for patients. You can contact the team via telephone on 01925 662 915 via fax on 01925 662 347 or by calling the main hospital switchboard on 01925 635 911 and asking them to bleep the Hospital Palliative Care Team. The Delamere cancer support and information centre offers information, support, counselling and complementary therapies to patients and their carers. If you have any questions about cancer, need support or just someone to talk to, call free, Monday to Friday 9am - 8pm (interpretation service available). Referral can be made by healthcare professionals via phone, fax, direct contact with the team, or internally via ICE and members of the public can be made via phone. It is helpful if the referrer discusses with the patient and/or family that the team have been approached. Telephone advice can be sought by contacting any team member.